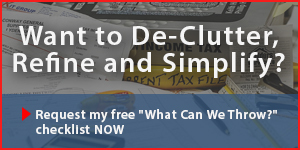 In the video above, Robyn talks about Tip No 100 from her very popular book, About Time……120 Tips for those with no time. 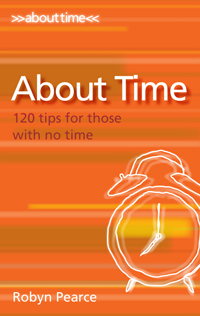 This book provides a selection of quick, snappy and useful time saving tips. There is a chapter (with 10 practical ‘tried and true’ tips) on Managing the Home – Based Office, as well as one on ‘Balancing Work and Family’. 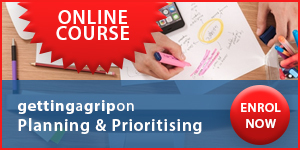 There are a further 10 chapters on the other crucial areas where you can learn to manage your time more effectively. Susannah Bernstein, lawyer and mother.